It’s Thanksgiving week here in the United States, a time set aside for family and feasting, and hopefully a time to reflect on the gifts we’ve been given. 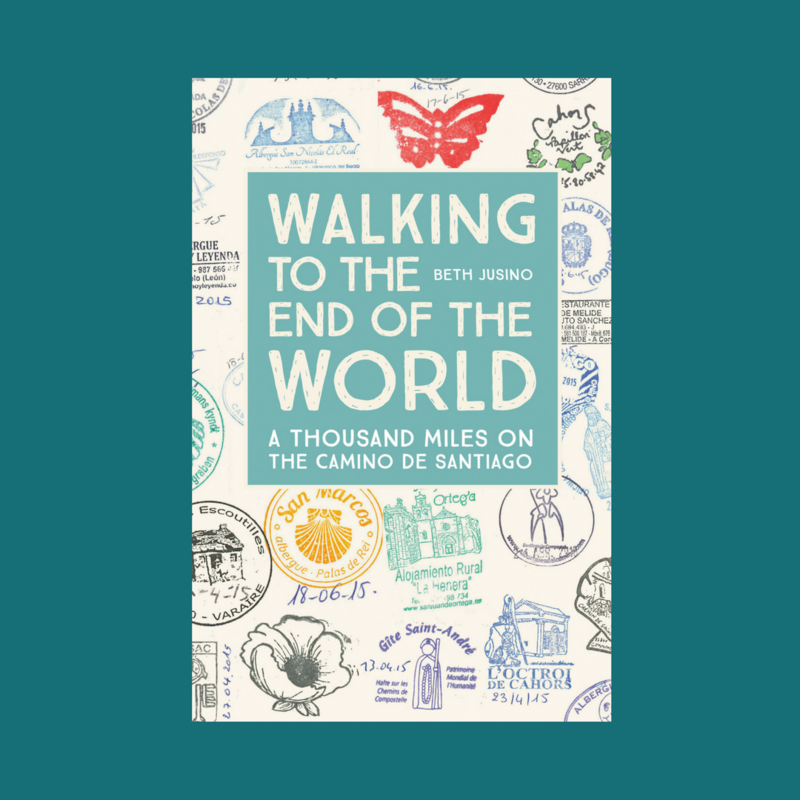 In that spirit, I’ve been thinking about my Camino Gratitudes: the things I now appreciate (or appreciate more) because I have been a pilgrim to Santiago. I grew up in the Christian Church (the body of believers), but until I walked a thousand-year-old pilgrimage, I had no idea how meaningful a church – a building specifically built and elaborately furnished to draw attention to a mighty Creator – could be. Designed and constructed without the help of modern drafting or engineering, the cathedrals of the Camino are masterpieces. The small chapels along the road each tell a story. I could – and often did – linger for hours, studying the art and trying to imagine the first congregations of poor, illiterate, mystical believers. When I stay in one place, I take my bed for granted. It will be there every night, right where I left it. When I camp in the wilderness, I give up beds all together. When I walked the Camino, though, a bed became a gift. In 79 days, I slept in 75 different beds. Some were comfortable, others were almost comically inappropriate, but they were always available. Every day I walked into a new place, a stranger in a strange town, and knew there would be a safe place to sleep. A private corner that would be my own when I needed it most. Forget the Mona Lisa or pasteurization. The greatest gift of France to humanity, in my opinion, is the after-dinner cheese plate. It extends the meal and whatever conversation is happening, and offers a savory end to an experience. Unlabeled and diverse, the cheese tempt us to try new things, to share. I know what I’m bringing to Thanksgiving dinner this year. My poor, injury-prone Princess feet have their share of problems, which seem to get worse as time goes on. But I’ve walked parts of the Camino twice now, once in the depth of summer heat, and I never had a blister. Our only guess about what makes me immune to the most common pilgrim ailment is that my feet don’t sweat, and so there’s no moisture to respond to friction. There are a hundred ways in which I am not a natural hiker or pilgrim, but I’ve got this one superpower, and I’m grateful. Two Americans, a Dane, a Korean, and three Mexicans walk into a bar… and it’s not a joke. It’s a normal afternoon in a Camino town. Walking the Way of Saint James offered me not just the cultural experience of visiting two distinct countries and cultures, but the joy of exploring them with people from a dozen OTHER countries. Today my social media feeds are a hodgepodge of languages, and I have a deeper understanding of life outside my own American bubble. I’ve always been a student of modern history, but the Camino made me curious about medieval life in a way no book ever could. I met people who lived in the 800-year-old walls of a French town. I walked on roads originally constructed by the Romans. I learned about the Knights Templar by exploring castles that they built. Yesterday I found myself slipping a random reference to “Ferdinand and Isabella” (as in, the Spanish monarchs of the 15th century) into casual conversation, and I stopped and felt a moment of gratitude for everything I never knew about how our cultures grew and merged. When you move at a human pace, you spend a lot of time being stared at by cows. For years, “travel” meant watching the world pass by from the comfort of climate controlled, comfortable, motorized boxes. We were usually going too fast for me to notice the details. But for seventy-nine days, my only climate control was a sun hat and rain jacket. I was rarely comfortable, and I moved so slowly that I could watch the seasons changing day by day and make solemn eye contact with cows. My tasks – to walk from this town to that town, to wash my clothes and find my food – were simple but time consuming. It could take all day to get over a ridge I’d been watching since morning. I learned to follow the sun’s patterns, waking and sleeping early. Without a smartphone screen to distract me, I was left to sort through my own thoughts and stories. Now, surrounded by chiming laptops and rush hour drives, I look back on those slow, patient pays, and am grateful to have had them. What about you? 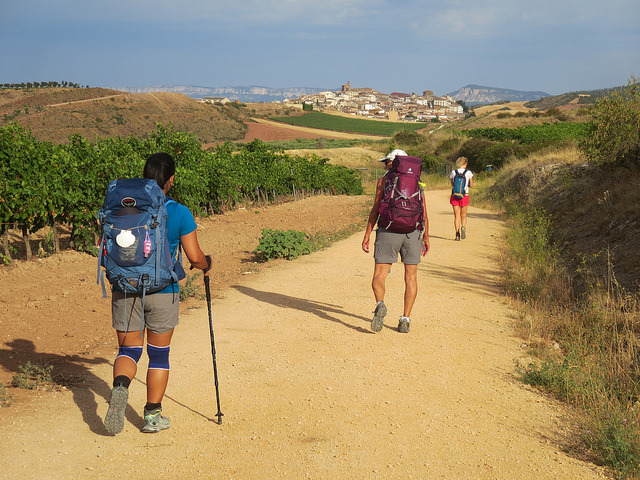 If you’ve walked part of the pilgrimage to Santiago, what’s your Camino Gratitude?